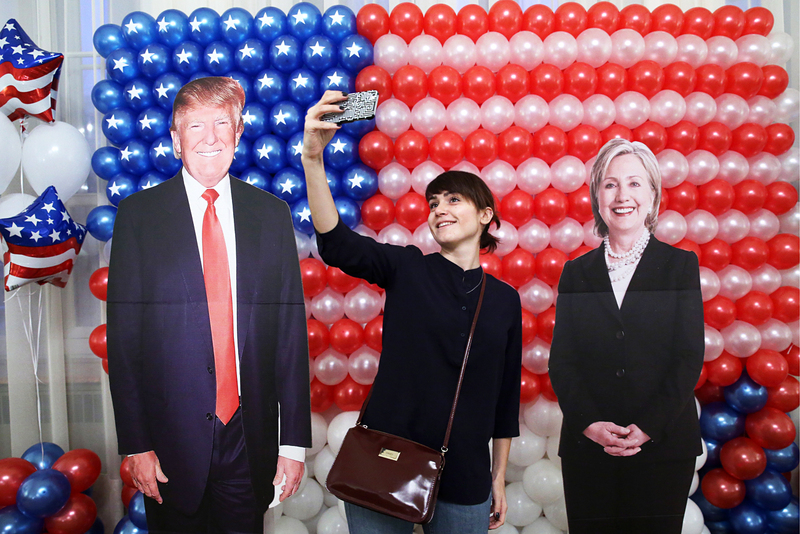 A woman takes a selfie photograph at a reception at Spaso House, the residence of the U.S. Ambassador to Russia, on 2016 US Presidential Election Day. Speaker of Russia’s State Duma Vyacheslav Volodin says the Donald Trump’s position in fighting terrorism, in structuring of effective Russian-U.S. relations and in defending national interests is similar to the position of Russia’s President Vladimir Putin. "Exactly what he (Trump - TASS) said, has been said by our president," the speaker said in an interview with the NTV television channel on Nov. 13. "Our president speaks about fighting terrorism, our president speaks about defeating interests of this country, though minding interests of other countries. Our president has been speaking about bringing closer the positions." "There are quite many point of intersection of the kind, and very many similar positions of Putin and Trump," he continued. "Time will show whether Trump will follow the statements he made." "It is really complicated to be speaking about it now, but anyway Trump has opportunities for that," he added. The U.S. president-elect has worldview approaches to "structuring effective and respectful relations" are also very close to Russia, he continued. "Like, of course, to us is quite close his position of a person who loves his country and defends its interests." "It is most important to restore trust, to restore respect," he said. "If done, a lot can be achieved." "If Trump begins implementing what he has announced, then the situation will change greatly," speaker of the Russian parliament said. "On key issues, presidents of Russia and the U.S. have not ever had their positions get that close."